Apple has added a loudspeaker on its previous iPhone 7, making it support a higher dynamic range of stereo, and the volume is as twice higher as iPhone 6s. Just now. JP Morgan Chase analysts said, the new iPhone 8 mobile will be equipped with further enhanced receiver to enhance the device’s stereo effects and waterproof effect. JP Morgan Chase analyst said, except for the OLED screen, iPhone 8 smartphone will support wireless charging, and be equipped with enhanced receiver (loudspeaker). The position of the receiver (loudspeaker) is still the location of the handset. However, it did not disclose how this receiver (loudspeaker) upgrades. Just showing the volume will be greater, and waterproof performance will be stronger. 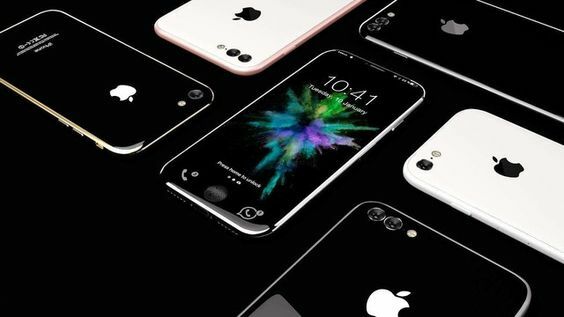 In addition, the iPhone 8’s new appearance and the internal component upgrades are expected to increase the price of each device by $ 75 to $ 80, which is only a matter of material cost and does not include the factors such as R & D and manufacturing. There are still more than four months since the iPhone 8 releasing. Howeverm there is no doubt that it has already hanged the users’ appetite. And various rumors keep appearing recently, such as stainless steel + glass body design, faster processor, larger batteries, wireless charging and 3d face recognition and so on. Well, for more news about the new iPhone 8, please stay tuned for our later reports.